There’s a brand-new festive, family festival coming to London this December! The Greenwich Winter Time Festival will be taking place in the grounds of the famous Old Royal Naval College in Greenwich, South East London from 1st to 31st December 2017. 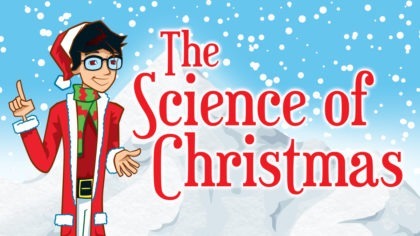 There’s loads of magical Christmas activities and entertainment planned, with 3-hour sessions each day and a line-up of daytime and evening events. Entering the festival you will be welcomed by actors, musicians, jugglers and magicians who will entertain and lead you through the experience! The Greenwich Winter Time Ice Rink will host skilled freestyle ice-skaters who will open each skating session with an exhilarating show of jaw-dropping dancing on ice! After the performance, you’ll be able to join them on the ice and skate under the stars, listening to music composed by students from Trinity Laban Conservatoire. Housed under a giant canopy, the Mirror Stage is where you can check out the main live programme of performers, bands, DJs and choirs. The line-up includes The East London Brass group who’ll be performing live to accompany Christmas classic The Snowman – which will be projected on huge screens for the whole family to enjoy – and a stage adaptation of Nicholas Allan’s The Giant’s Loo Roll! Plus, a spectacular Father Christmas Experience will allow families to join him in his magical ‘launch pad’ at the start of his busy Christmas journey! More acts are still to be announced, and the festival will culminate in a spectacular closing night gala on New Year’s Eve. Around the site, there’ll also be a selection of street food and seasonal treats for you to try – and you can buy gifts in the Christmas market too! 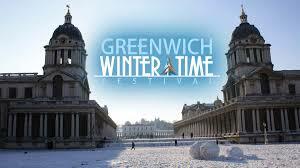 Greenwich Winter Time Festival runs from 1–31 December, with tickets from £15 for adults and £8 for children. Click here for the full programme and to book tickets! Experience Easter at RHS Garden Wisley with The Rhyming Rabbit! « See Dreamworks Animations in Concert at various venues across the UK! 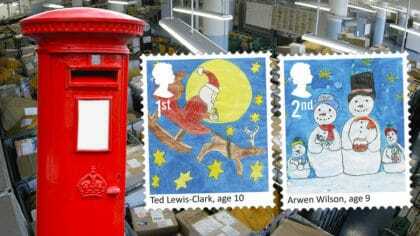 Santa visits 5,000 homes a second! 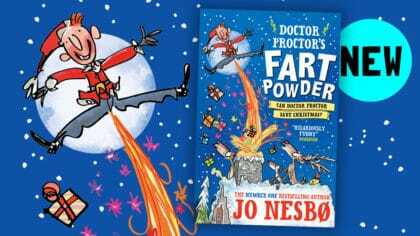 Can Doctor Proctor Save Christmas?! Mariah Carey's new movie is out now!